Growing up in both the Caribbean and France, Didier Catelo caught the travel bug at a young age, a passion that he would carry through into his career. 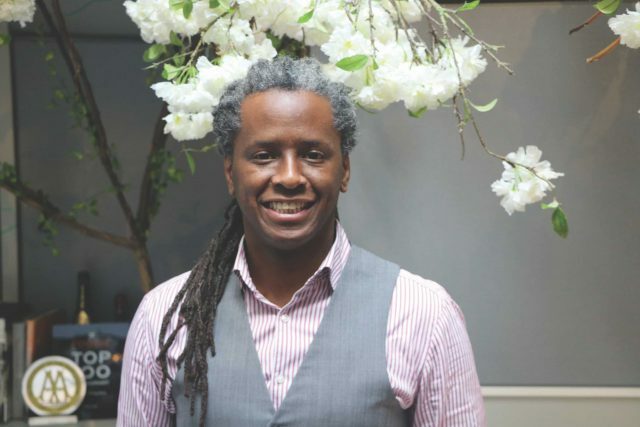 Over the past 20 years, his journey into wine has taken him from Paris to New York and Washington DC, to the French West Indies and finally to London. Now head sommelier and wine buyer at Chelsea hotspot Medlar, Catelo began his career in hospitality in 1998, working as Maître D’ in the French Ministry of Work and Labour. It wasn’t until 2005, after a “bad experience” as a waiter in New York, that he changed course, and was able to fully explore his love of wine, becoming a trainee at Le Bistrot du Sommelier in Paris, a restaurant owned by Phillippe Faure Brac – who was named World’s Best Sommelier in 1992. A stint at fine-dining restaurant Le Paradou in Washington DC followed. However, it wasn’t long before London came calling. In 2007, and with a sommelier course from the Université du Vin of Suze la Rousse in France now under his belt, Catelo took up a position at Hotel du Vin in Brighton – the formative stomping ground of many renowned sommeliers. From there, Catelo went on to become assistant head sommelier at the two-Michelin-starred The Ledbury in Notting Hill. It wasn’t long before the travel bug bit again, with Catelo returning to his roots in 2009 to spend almost three years working in sommelier roles at the Langley Resort Fort Royal and Bonito, both in the French West Indies. Returning to Europe in 2012, Catelo stepped out of the cellar and into the vineyard, working the 2012 harvest at Domaine Jean-Louis Chave in the northern Rhône, an experience he describes as “humbling”. “I was so thankful to do a training vinification period at Domaine Jean-Louis Chave for the 2012 vintage, learning from a fantastic team.” London soon beckoned, this time French bistro Medlar, where he first became assistant sommelier in 2012, working alongside Master Sommelier Clément Robert. Next he served as wine buyer for Ernst and Young, with Catelo helping to open its Vista restaurant in London Bridge, before returning to Medlar in 2017 as its head sommelier. Medlar’s engaging wine list is a reflection of London, says Catelo, “being eclectic, multicultural, historical and forward looking”.